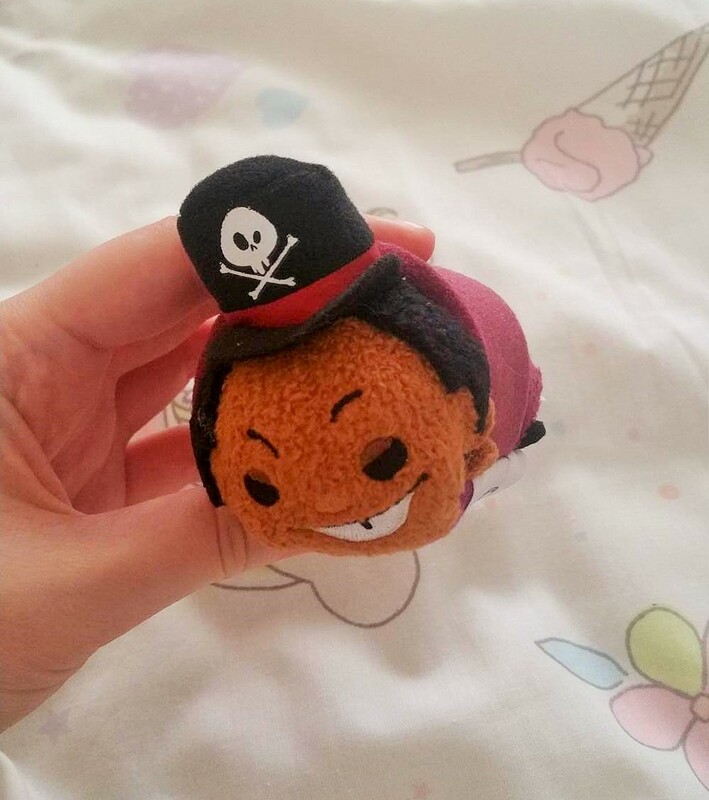 Welcome to my first review blog post and my first Disney blog post too! 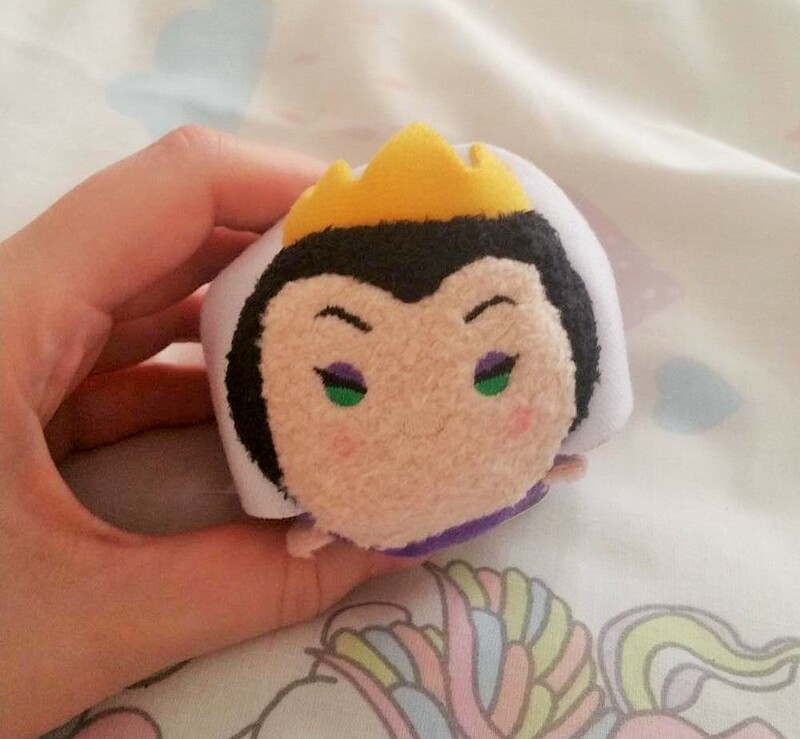 You may have noticed on my navigation bar above that I have added some new pages; I have put all of my past outfit posts into the ‘Fashion’ section and have made some new sections such as the ‘Disney’ page! I’ve always wanted to do more on my blog other than just fashion outfits, so I finally made some time to set it all up! I’m hoping to add more sections in the future too such as Travel and even Baking, but for now let’s see how I get on with these! I was thinking of uploading certain content on certain days but I don’t feel I can commit to say Fashion on Mondays, Disney on Wednesdays and Beauty on Fridays (as much as I’d love to! ), what with my YouTube which is already weekly . This is mind I will just upload whatever topics I can for the moment and see if I can get myself into set days and then hopefully topics on certain days! The new topics mean that I should be able to upload more regularly now as before I found it hard to commit to getting myself all dolled up and going to certain places to take certain images, especially on time restraints when working with companies. 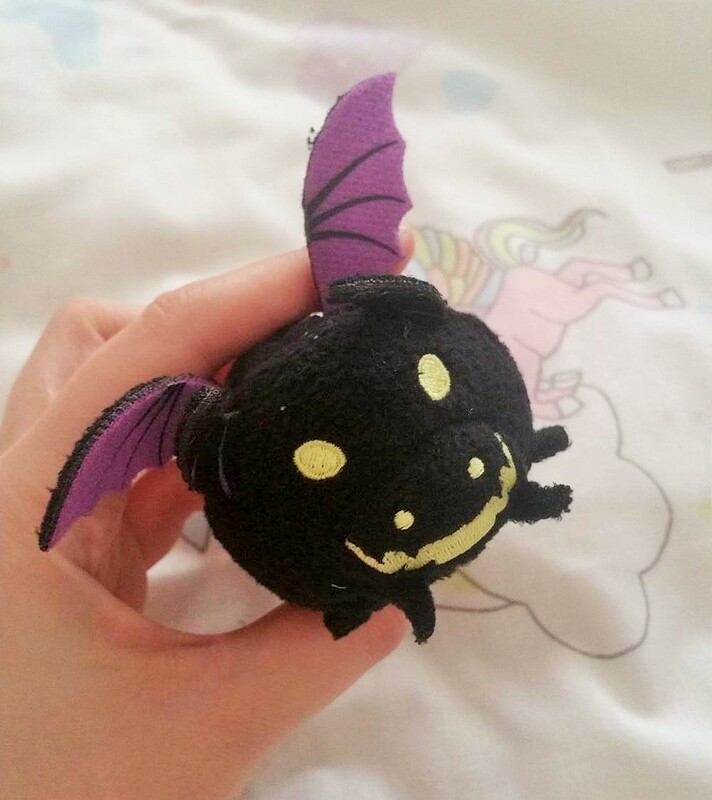 I have a lot on other than my blog and Youtube so it will be a lot easier for me to be able to take pictures for reviews from the comfort of my own home when I’m not able to get out and do an outfit post! Onto the review! 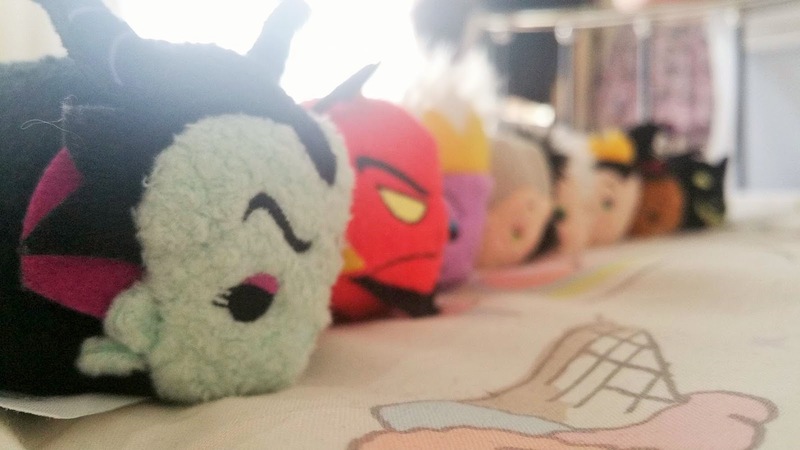 I always said I wouldn’t collect Tsum Tsums because they’d take up too much room and I’d end up going crazy with collecting them! 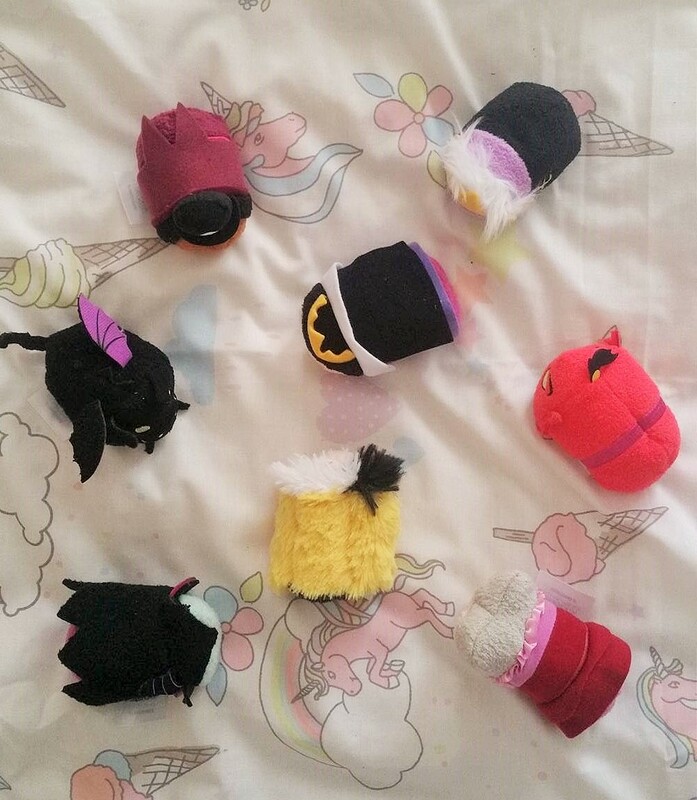 Here we are though, and I’ve got my first collection. 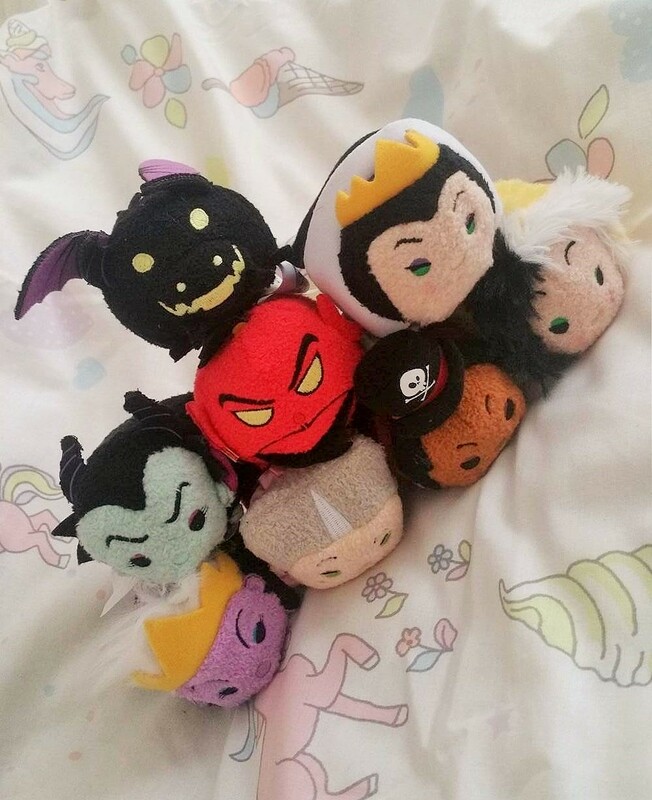 I was lucky enough to nab all of the Disney Villains collection on release day. 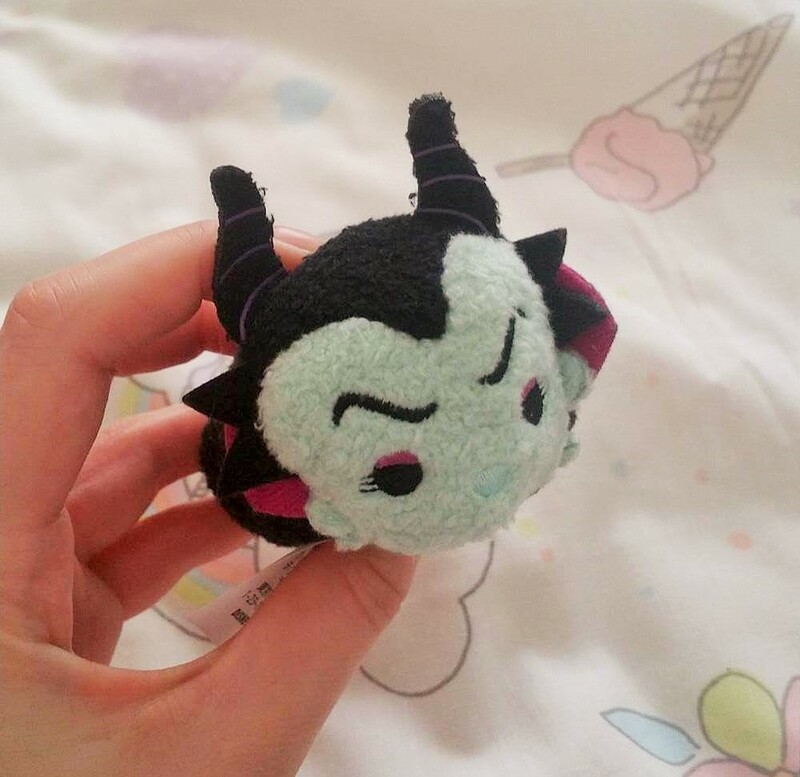 This being my first Disney release day buy I wasn’t sure what to expect! I’ve heard bad things about the website crashing and releasing items before 8am, resulting in people missing out on products. 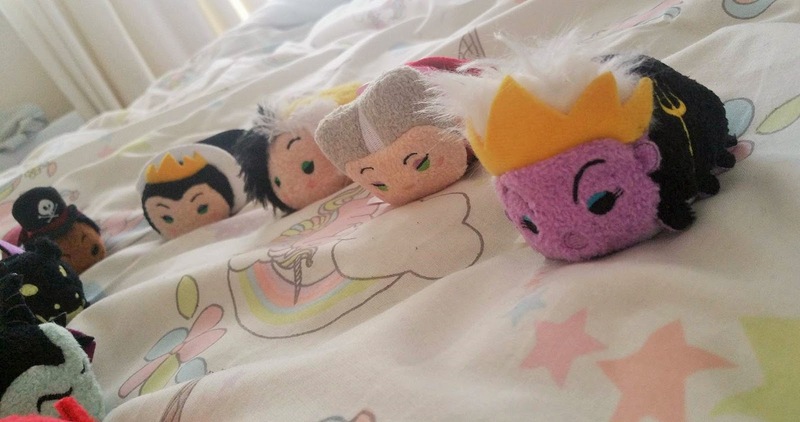 Saying this however, I got onto the website a few minutes after 8am and managed to put all of the Tsum Tsums into my basket and check out without any problems by 5 past! 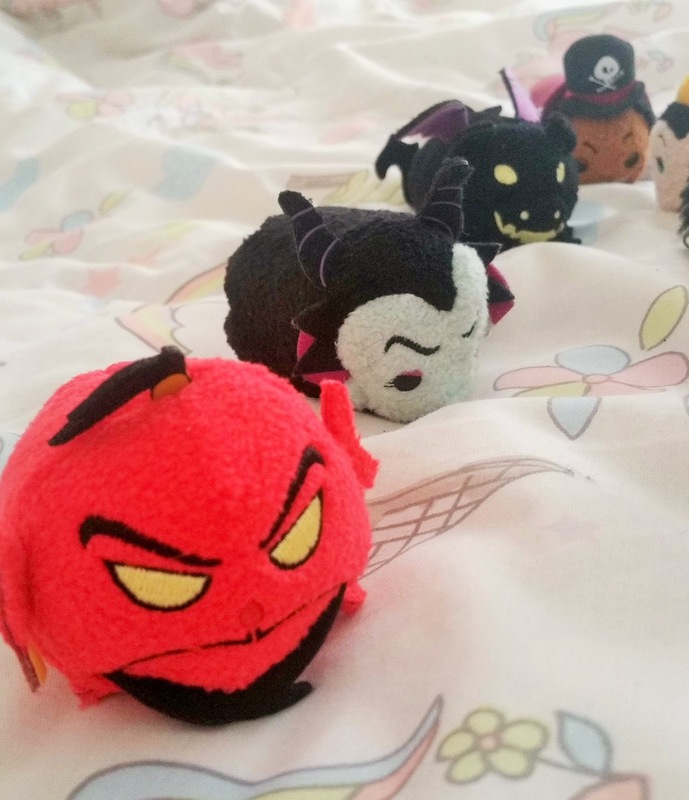 I did notice that the Tsum Tsums were out of stock later in the day, but now they are all restocked on the website (links above) except for Maleficent as a Dragon, which if you are desperate for you might be able to find on Ebay. 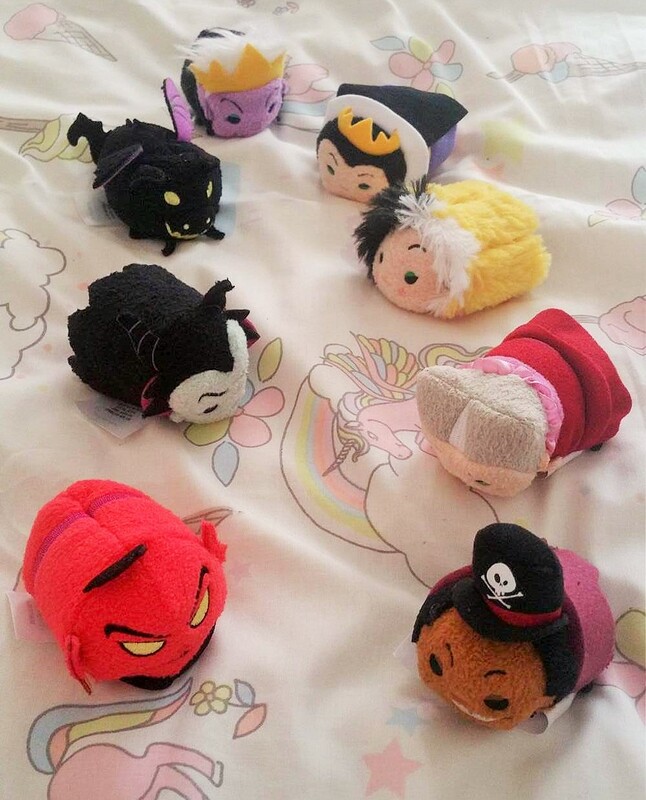 The Tsum Tsums came in just under a week (which I think is a tad long for £3.99 delivery!) and all came in 1 bag, unscathed! I wasn’t sure what to expect but I love all them. 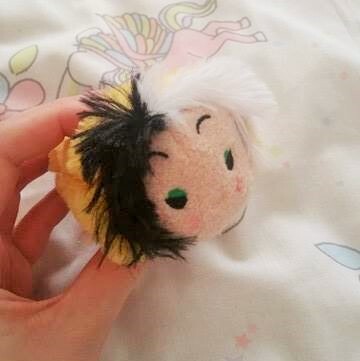 I can’t believe that for only £3 they have so much detail on them (some more than others!) and are all really good quality. 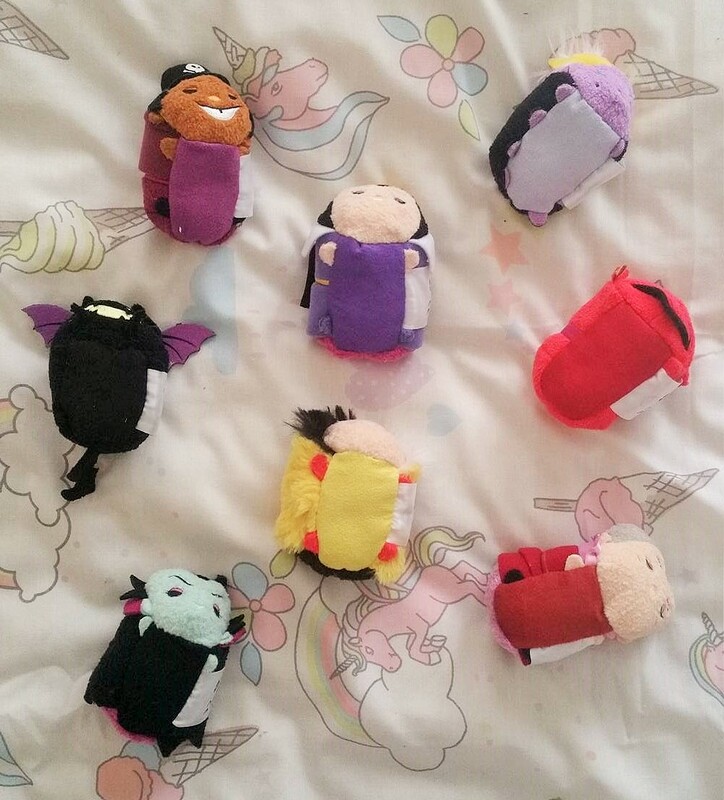 My particular favourites are Ursula and Jafar; I feel they have the most detail. 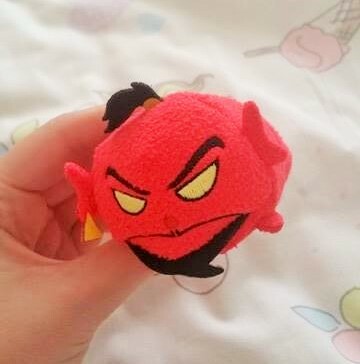 Jafar has a little ring in his ear and a cute little pony tail and Ursula has her trident on her side and 8 little legs! 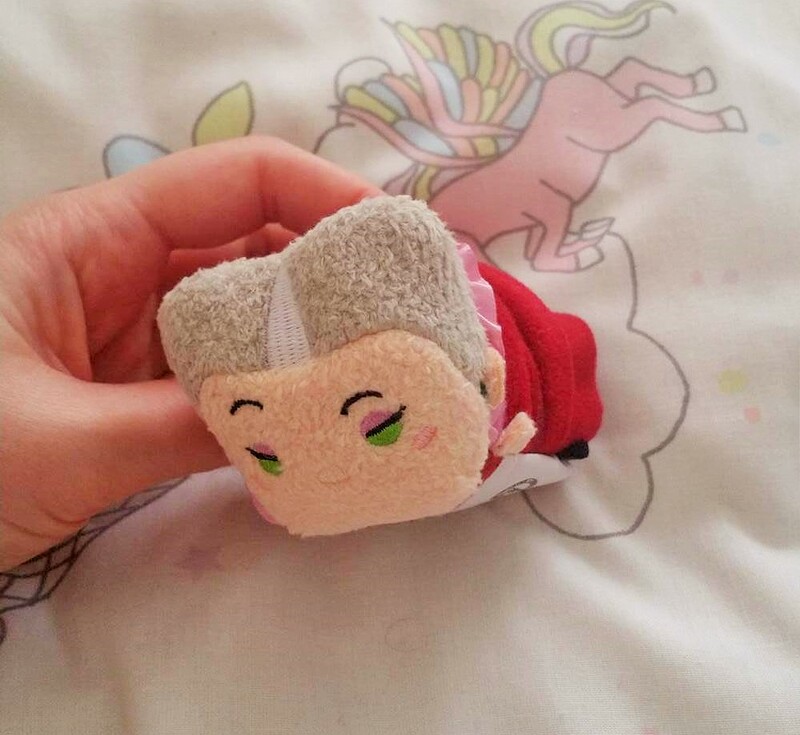 I also really like how soft Cruella is and her crazy hair! I’m definitely going to be getting more of the collections and a few random ones on their own that take my interest. 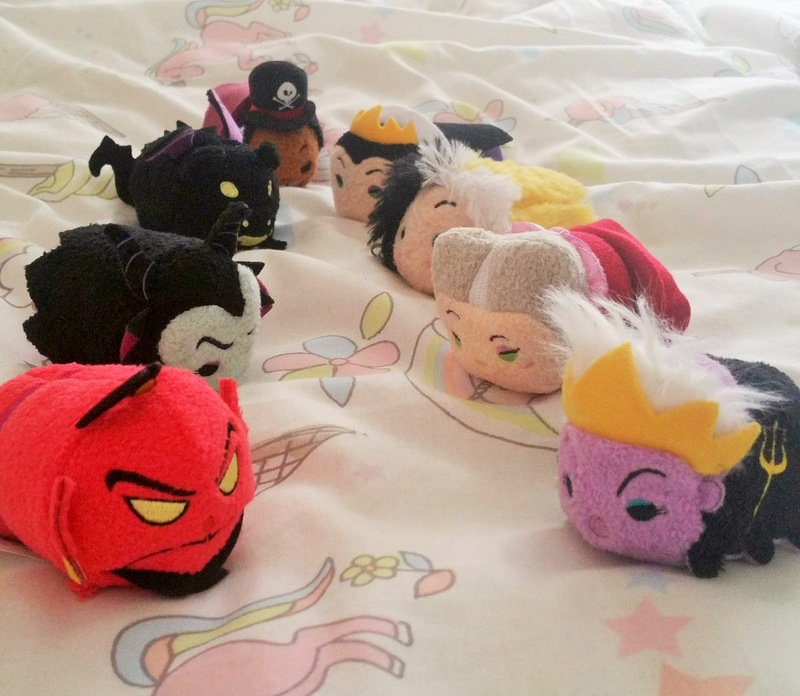 The only thing I think Disney should do differently is add a product link where you can buy all of the collection in one go rather than having to click on them all individually and put them in your basket. Did any of you get the collection? 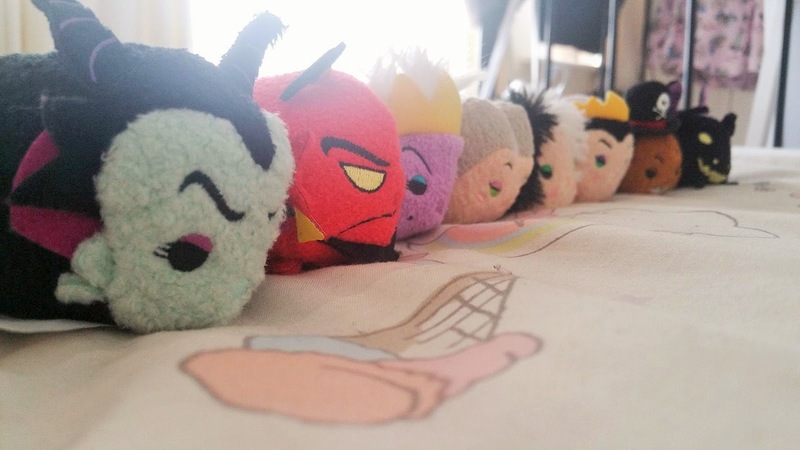 Do you already collect Tsum Tsums? Let me know below, I’d love to hear what you all have! 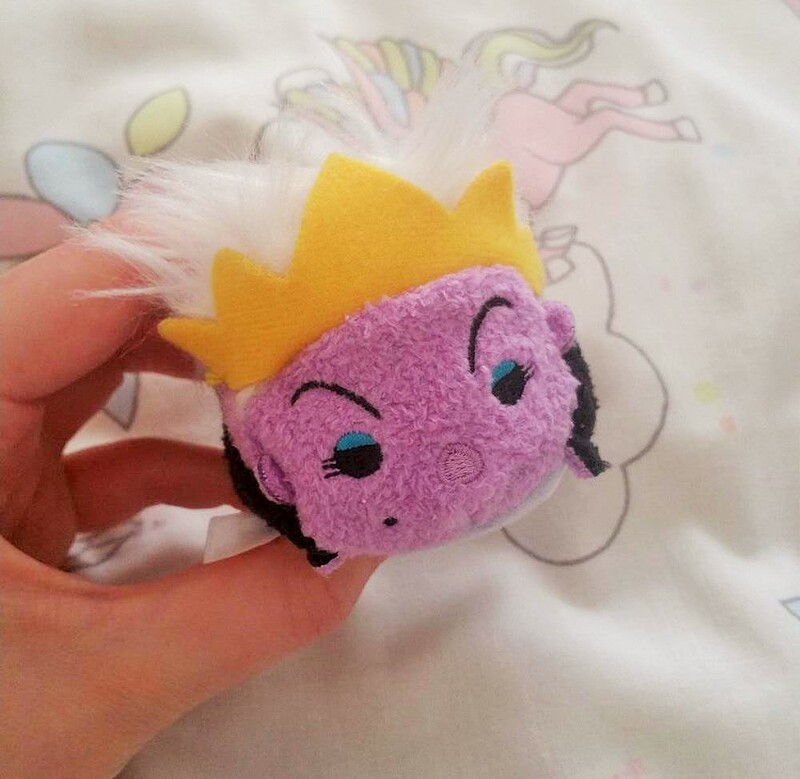 Primark Beauty & The Beast Range: Round 2!